There are only a handful of Iron Age hill forts in Norfolk, and the best preserved is Warham Camp, hidden in a field in north-west Norfolk. Accessible to the public from the road down a footpath (laden with blackberries and other hedgerow fruits at this time year), the earthworks of the fort are still impressive. Although once completely circular, the banks and ditches on one side are now cut by the River Stiffkey, the course of which was diverted in the eighteenth century. Excavations have found evidence of Iron Age and Roman occupation, including a timber palisade and platform within the interior. Read more about Warham Camp on the Norfolk Heritage Explorer website. Now only visible as a cropmark, the site is owned by the Norfolk Archaeological Trust and is open to the public. 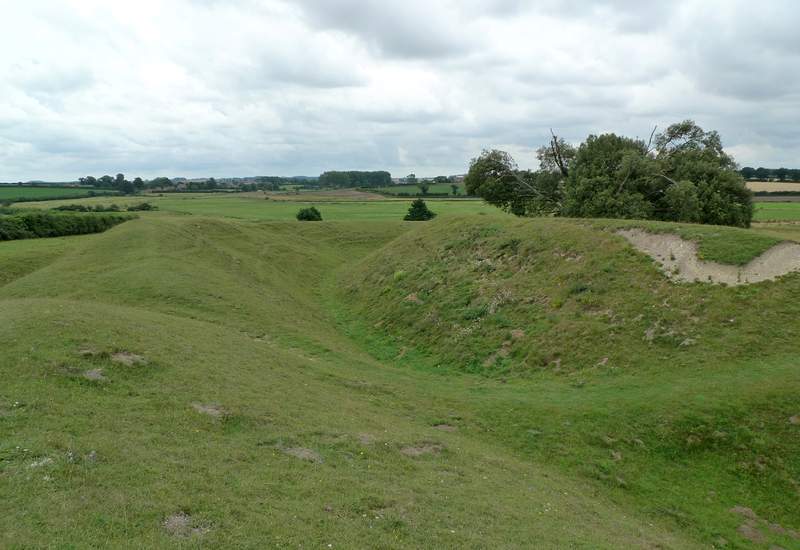 The earthworks of the fort at Tasburgh are also owned by the Norfolk Archeological Trust and open to the public. Visible as an earthwork enclosure on the saltmarshes to the north of Holkham Hall. The fort is within the area of the Holkham National Nature Reserve. The earthworks of this hillfort lie close to a strategic crossing point of the River Nar. The fort is now in the grounds of Narborough Hall which is open to the public during the summer. An Iron Age fort, which was later reused as a motte and bailey castle. The impressive ramparts were originally constructed during the Iron Age, but were altered when the castle was built. Now within a public park the castle and fort are open to the public.